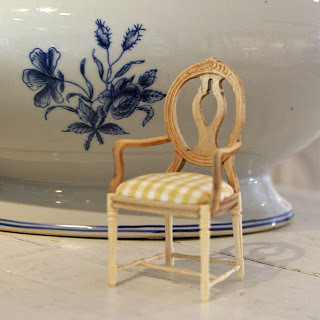 I am planning to include a Gustavian style Swedish room in my next dollhouse. This has involved a lot of research, but more important, hunting around to find authentic and realistic swedish furniture and fittings. 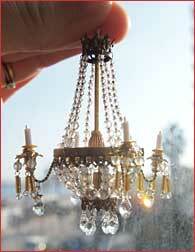 This is a chandelier made by a lady in Sweden named Cilla. This is her site: www.minst.com. They are very beautiful and realistic (see below for the style she is copying) and I am looking forward to ordering one. 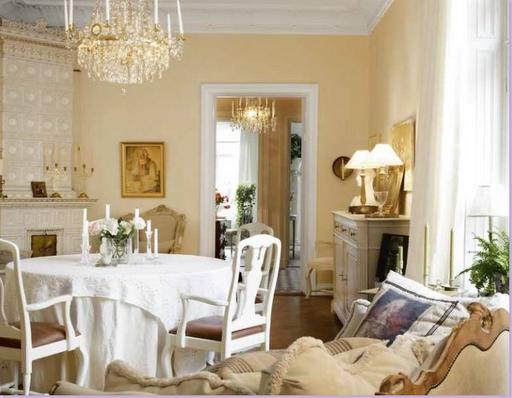 Of course a Swedish room also requires Swedish furniture. 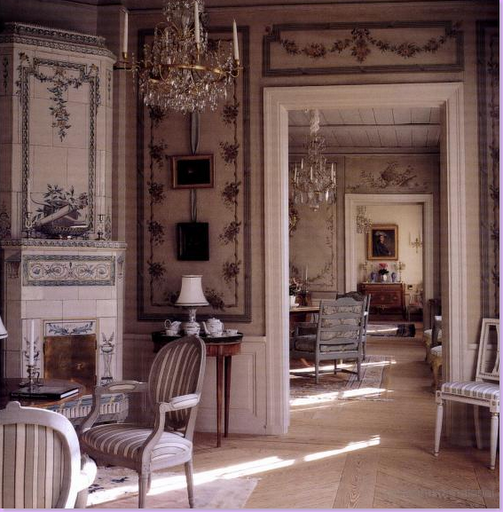 Below are some typical Swedish room in the classical Gustavian style. 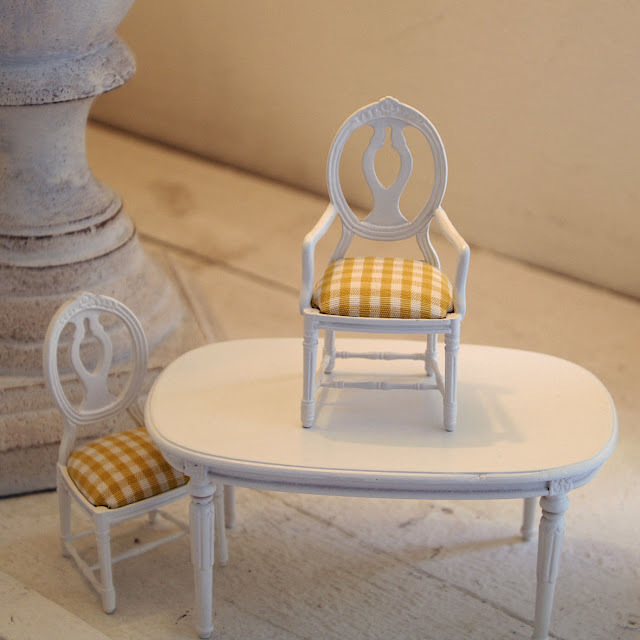 I found some very nice scale furniture from Crazy4minis, (which is another great Swedish miniaturist site). 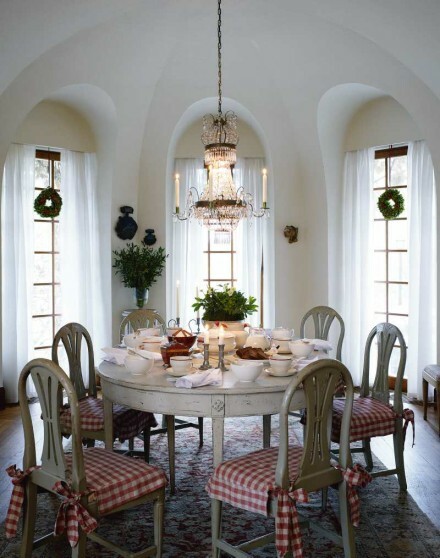 I have a beautiful table setting coming to me soon in the mail! Cilla Crazy4Minis buy almost anything and is a great site with a proprietary expertise and great taste. Have already agreed with your choices. Glad I found it. Yes, they both have lovely Scandinavian furniture and accessories! 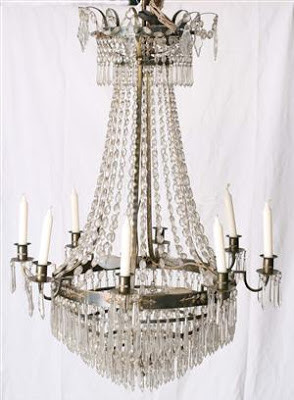 Which is a nice change from the american style furniture you can find. Glad to help!